According to leading analysts, today's most successful companies are data-driven, making informed decisions instead of guesses based on gut feel. For software companies, that means meeting end-user expectations by infusing compelling data visualizations and analytics into every application you create and sell. Modern data visualization and analytics applications, therefore, need to be designed from the ground-up to be quick and easy to embed for a mobile- and web-first world. They also must capable of handling today's rapidly evolving modern data management landscape so that your analytics does not lock you into using yesterday's data stores. If you're a CTO, product manager, or software engineering leader, you may be curious about whether to build or buy an integrated analytics solution, how to evaluate the available offerings for embedded analytics, and how to most efficiently embed data visualization and analytics into your product. Join us in this webcast as we discuss these points and more. To frame our discussion in a real-world context, we'll hear how robotic process automation company Automation Anywhere worked through these issues. 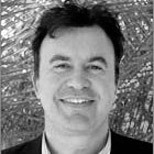 Jay Bala is the Vice President of Analytics Products at Automation Anywhere. 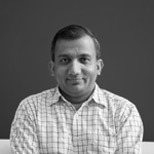 Jay is a passionate product builder and entrepreneur with deep expertise in big data analytics, digital marketing solutions, and data and enterprise resource planning applications built over two decades in business, technology leadership and founder roles at enterprises and startups. Eight of those years were spent at Informatica. His versatile skill sets, attention to detail, and customer focus have helped companies build successful revenue-generating products and have allowed customers to strategically leverage and use data products. Ian Fyfe is Senior Director of Product Marketing at Zoomdata. Ian is an accomplished product management and product marketing professional with a passion for creating, guiding, and bringing to market data analytics and data integration products and platforms. Ian's prior experience in the embedded and big data analytics industry includes stints at Hortonworks, Pentaho, Jaspersoft, Peoplesoft, Epiphany and Business Objects.